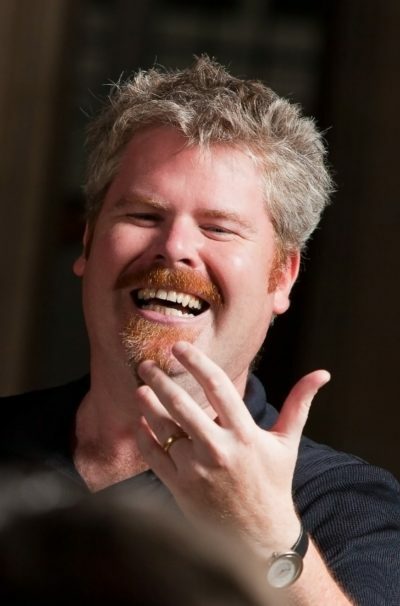 In-demand all over the world leading baritone and conductor Gavin Carr also makes time in his hectic schedule to fulfill his role as Music Director of Bournemouth Symphony Chorus and will conduct an ambitious staging of Mahler’s legendary Eighth Symphony at Lighthouse, Poole’s Centre for the Arts, on 23 July 2015. 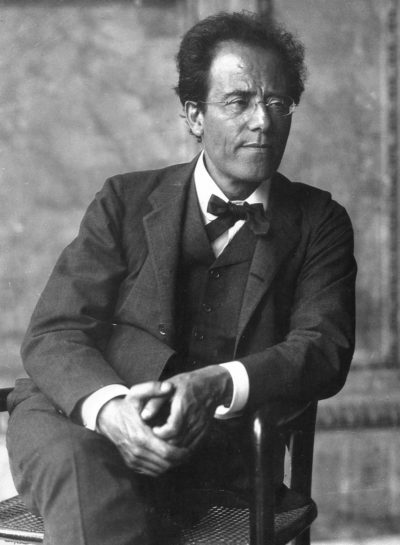 One of the grandest pieces in the classical concert repertoire, Mahler’s Eighth is often referred to as the ‘Symphony of a Thousand’ after its premiere performance in 1910 involved more than 1,000 musicians and singers. Gavin, Mahler’s Eighth is a massive undertaking, why was it decided to tackle it here and now? A fair question, given that this season the Bournemouth Symphony Chorus has also presented two of the other biggest works in the repertoire: the War Requiem and the St Matthew Passion! But we were offered the chance of a collaboration with the Amadeus Orchestra and I saw that we could also involve my large Bath-based chorus, Bath Minerva Choir, in a tripartite deal that would make the costs much more do-able. When such a possibility comes along with such a work, you simply have to say yes and get on with it – Mahler 8 comes up once every 15 to 20 years at most for nearly all performers, maybe even just once in a lifetime of singing. How many musicians and singers will you have under your baton? There will be 250 adult singers, 40 or so children and an orchestra of 100 players – nearly 300 in all! One reason this work is so rarely performed is because there are eight soloists, and they all have to be top-of-the-line – their parts are stupendous! Through my contacts with friends and colleagues in the singing world I have sourced a remarkable team of established and up-and-coming singers, who of course are very keen to get the work under their belts. Rachel Nicholls, the hottest young Wagnerian soprano around, is Soprano I; Suzanne Manuel, who made such an impression last year as Aida for Dorset Opera, is Soprano II; the incredibly talented Keri Fuge, who recently sang our St Matthew Passion solos so beautifully, is Soprano III; our two stellar mezzos with incredible voices and a deal of experience between them are Marie Elliot and Marianne Andersen; singing tenor is the fast-rising Heldentenor Jonathan Stoughton; our baritone is the tremendously talented and in-demand William Dazeley; and the bottom-line man is James Platt, making waves as a Jette Parker Young Artist at the Royal Opera House. Other than the sheer number of people involved, how does this piece differ from more conventional choral concert pieces? Well now, it is essentially a ‘symphony in voice’, rather than an oratorio: that means it is written in long sweeps and so it has a flow and a momentum that is unlike conventional oratorio. It must be quite a sight, have you seen it performed before? I have never seen it performed live, but I’ve watched it from the Proms on TV and I’ve been enthralled by the performances you can find on YouTube, some of which are simply incredible. Gustavo Dudamel conducted one in Caracas which surely has nearly a thousand singers crowded onto the performing area – watching it online is quite an experience. With so many voices and instruments I imagine it must be quite a physical experience to conduct, perform and actually sit in the audience for – there’s a lot of air being shifted about? And very loud? Mahler said this work of his was his gift to the nation and to humanity: he intended it to be overwhelming and it is. The amount of sound involved in Part I is simply majestic and I expect all of us to be lifted on the energy and carried to great heights. Part II has many more contemplative moments of incredible delicacy, but ends of course with a blazing ‘Chorus Mysticus’. Having conducted the War Requiem earlier this season, which has at its climax the most terrifying noise of all in the ‘Libera me’ – for which one has to be prepared both mentally, spiritually, and physically lest it shake you off your foundations – I think I am in good training at present for marshalling immense sounds. But don’t forget that a conductor’s work is done in the mind above and before all else: if your mind and imagination are not there, no one will follow you, however hard you flail with your arms. That being said, the physical side of things is incredibly intense: Mahler needs such precision and such flexibility, and such impulse from his conductors – I will be changing shirts at the interval after Part I, that’s pretty much certain! Has it been successfully recorded and could a recording ever compete with experience the work live? There are a number of magnificent performances on disc, many of which are taken from live performances. This is obviously a cheaper way of doing things than getting hundreds and hundreds of people into a recording studio. But my favourite performance of all is one of the earliest: a live recording from the Royal Albert Hall in 1959 with two BBC Choruses, half a dozen other choral societies and children’s choruses and the London Symphony Orchestra all conducted by the legendary Jascha Horenstein. His understanding of the ebb and flow of things and his essentially humble but devastatingly effective way with the whole edifice of sound is so deeply impressive to me. Plus, the recorded sound is amazing, as are the soloists. Some have said it’s the opera Mahler never wrote, could you explain the narrative of the Eighth Symphony? It’s a piece of two Parts, but both deal in the theme of exaltation – exaltation of our spirits in life and exaltation of the soul after death. Part I is an immense setting of the old Latin Hymn ‘Veni Creator Spiritus’, which many of us know as ‘Come Holy Ghost, our souls inspire’: there is quite simply nothing more grand in the whole repertoire, with massive double-fugues and triumphant choral shouts that take you to the most extreme realms of excitement and grandeur. Part II is a setting of the last scene of Goethe’s play, ‘Faust’, so it’s in German (we will provide translations, of course, in the programme booklet). It concerns the ascent of Faust’s soul after all its troubles on Earth into the realms of heaven, and it is the most blissed-out depiction in music of those realms. There are many passages that are almost too beautiful to bear, and Mahler knew he was working at the very height of his creative inspiration as he was writing. On the threshold of his composing hut in Austria in June 1906 he said: “Suddenly, the Creative Spirit seized a hold of me, and would not let me go until the whole work was finished many weeks later.” He had intended to rest up that summer, with a light schedule of corrections to his 7th Symphony, concerned about the drying up of his inspiration. But the Creative Spirit had other ideas, and this 8th Symphony is the magnificent result. What are the most challenging pieces you’ve conducted and sung – and why? What are the pieces you’d most like to conduct and sing? As a singer, my all-time favourites are the War Requiem – those solos are the most amazing experience, and I’ve now sung them all over the world with some remarkable orchestras and choirs – and the Brahms Requiem, which always inspires me anew with the humanity of its message and the power of its writing. As a conductor, the recent War Requiem experience at the Lighthouse was one to remember: it is such an immense and deep work, and has a way of calling every ounce of everything from its performers, shining its implacable light into the hidden crannies of our souls, and leaving us exposed, cleansed and feeling incredibly human after its passage. I do have a passion for opera – my mother Una Hale was a Prima Donna at Covent Garden, where my father started his working life on the technical staff, and my brother Paul is a well-known Director and Stage Manager of Opera, as well as having a considerable reputation as a composer, so it’s in the blood. I have a wish list in opera that includes Peter Grimes, The Magic Flute, and Lohengrin, but in the choral world I have yet to do my first Gerontius or Apostles, and I’m becoming a passionate admirer of the large-scale choral works of Parry: I will be looking to bring these two strands together in the next few years, possibly in a festival to match the Three Choirs one. How important is Lighthouse for you and Bournemouth Symphony Chorus?